OTTAWA -- The Boss. MN3. C34. The Kraken. 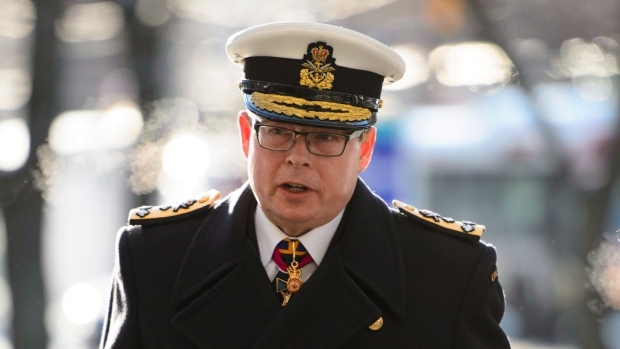 Those are some of the "codenames" that officials at the Department of National Defence used to refer to Vice-Admiral Mark Norman in internal communications, a court heard as the suspended military officer's pre-trial resumed Tuesday. Norman is charged with breach of trust, related to accusations he leaked government secrets to undermine cabinet's decision-making process on a shipbuilding contract to secure it for Quebec's Davie shipyard. He has denied any wrongdoing. His lawyers have accused the Trudeau government of playing political games with him, and his politically charged trial is scheduled to start in August and run through this year's federal election campaign. The pseudonyms and other identifiers were produced by Norman's legal team following testimony last month that defence officials had intentionally avoided using the vice-chief of defence staff's name in emails and other correspondence. Norman's lawyers have asked for access to thousands of government records that they say will exonerate their client. But they say the use of "codenames" at the Defence Department has been part of a pattern by the government to prevent -- or least delay -- the release of key documents that will ensure their client receives a fair trial. The defence team presented the page-long list of pseudonyms, acronyms and other identifiers to the court after questioning Justice Canada paralegal Patsy Bradley for several hours about how officials in different departments searched for the records they'd requested. Norman's lawyers had obtained the list through access-to-information and Bradley confirmed that many of the identifiers used by defence officials were not used to search for documents requested by the suspended admiral's lawyers. "This is not out of thin air. We called a witness who said there was some belief there were codenames," Henein said, and later compared her attempts to uncover the truth to "a spider's web." "Or the layers of an onion," said Justice Heather Perkins-McVey. While much of Tuesday's pre-trial hearing, which followed five days in December, focused on government efforts to gather documents for Norman's lawyers, court also heard Brison is seeking standing to make submissions and arguments in the case. Norman's defence lawyers have alleged that Brison was acting on behalf of Halifax-based Irving Shipbuilding, which had proposed its own plan for a temporary support ship. They previously filed in court several witness statements alleging the minister was close to Irving, including one from a senior Davie official in which he describes Brison as "Irving's boy." Brison's application for standing states that "this pejorative comment ... and others like it appear to suggest that (Brison) made his decision to review the naval supply ship procurement at the behest of Irving. Such allegations are utterly false." The application goes on to state that he was acting in his role as president of the Treasury Board, in which "it was Mr. Brison's duty to review the procurement of large defence contracts." The application for standing emerged as court heard that Brison was turning over emails from private accounts that could be relevant to the Norman case, after the vice-admiral's lawyers subpoenaed documents from the former minister. Brison's application states that he is prepared to co-operate in providing documents relevant to the case, and that he "appreciates Vice-Admiral Norman's right to make a full answer and defence." But it added that he is seeking standing to protect against "unjust and unfounded intrusion and attacks upon his privacy and reputation." 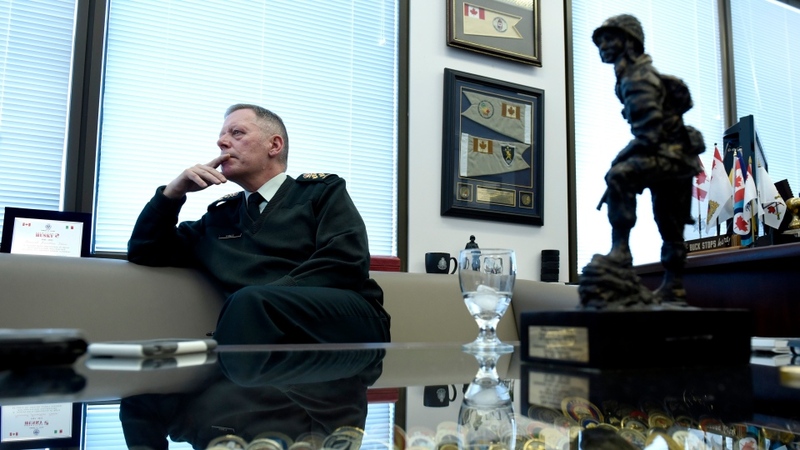 Defence chief Gen. Jonathan Vance was expected to testify Tuesday after being subpoenaed by Norman's lawyers but Bradley's appearance ran longer than expected and he will instead take the witness stand Wednesday.